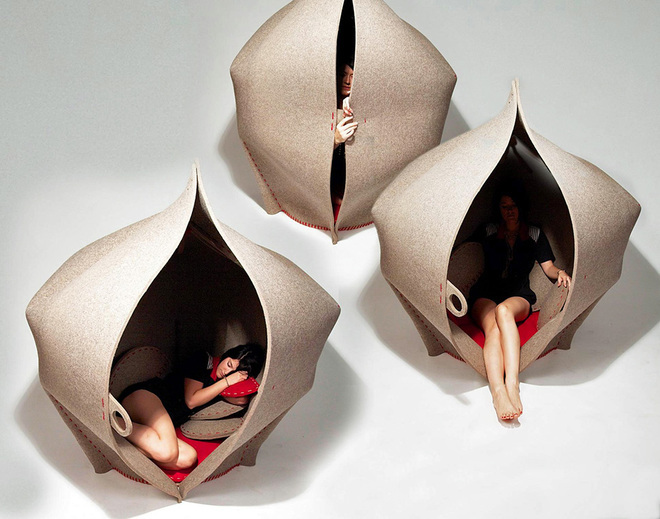 This personal pod space – HUSH by Freyja Sewell can be a tent-like private hideaway or it can be a chair. A unique concept whose time has come. 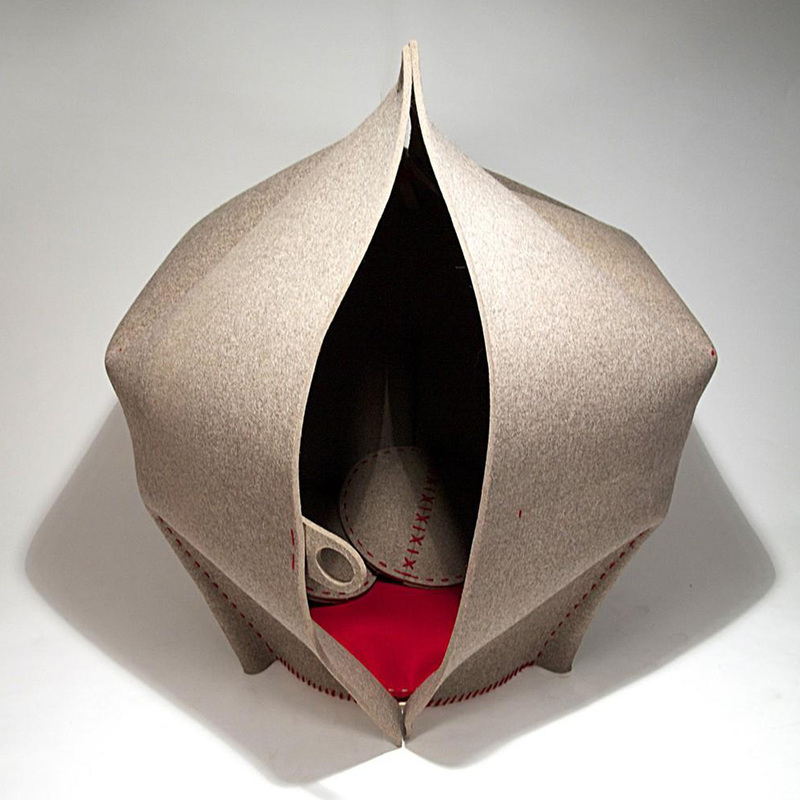 Made from 100% wool felt with red yarn stitching, it’s cute as a button (and almost puts us in mind of a baseball). And it’s incredibly practical for today’s overstimulated world. Who hasn’t come home after a difficult day and wanted to just crawl into their own space and hibernate? Now you can do it in ultimate style, instead of pulling the covers over your head in bed. And when you feel rejuvenated, just flip your pod inside out and it’s a chair and you can join the world again. It’s a great looking piece – and it would suit any style home or apartment and practically any room. Simple to fold up and put away, too. Made from a single piece of 10mm industrial felt, the HUSH is biodegradable, another bonus. 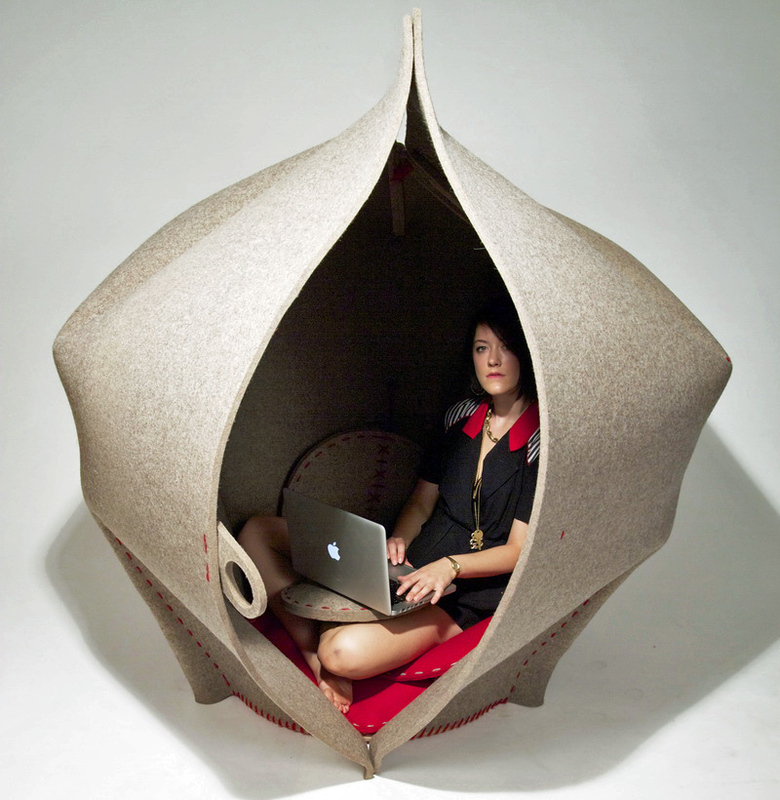 It was designed to allow for personal space in public spaces, like an office, but we think it’s equally at home at home. Don’t you?